AUSTIN — In unannounced visits to nearly a dozen Planned Parenthood offices in the state, Texas officials delivered written demands for documents on Thursday as part of their ongoing investigation into the organization. Investigators with the Texas Health and Human Services Commission (THHSC) visited facilities in the Houston, Dallas, Brownsville and San Antonio to personally submit the subpoenas. “Representatives from the Texas Office of Inspector General showed up at Planned Parenthood health centers … looking for an excuse to take health care away from thousands of women and men who rely on Planned Parenthood for preventive care—but what they will see is professional, compassionate and quality health care,” asserted Yvonne Gutierrez, the executive director of Planned Parenthood Texas Votes, in a statement. According to reports, the subpoenas sought patient records, billing information and documents about employees going back to 2010. The investigation is believed to pertain to Medicaid fraud, but the Texas Tribune also notes that records were requested relating to Medicaid recipients who donated their baby’s body following an abortion. 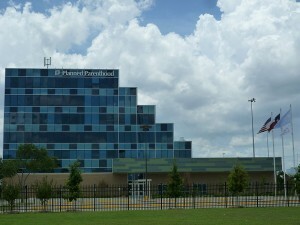 As previously reported, the Commission sent a letter to Planned Parenthood Gulf Coast on Monday, providing the entity with a notice of termination of the organization’s Medicaid contract. Without specifically mentioning the Center for Medical Progress, the Commission also references undercover video footage showing representatives from a Texas Planned Parenthood facility discussing its willingness to alter abortion procedures to remove deceased children whole. “The videos indicate that you follow a policy of agreeing to procure fetal tissue even if it means altering the timing or method of an abortion. These practices violate accepted medical standards, as reflected in federal law, and are Medicaid program violations that justify termination,” the letter stated. It further noted that the organization violated safety protocols surrounding the spread of infectious diseases. “Texas has stepped forward and shown its unyielding commitment to both protecting life and providing women’s health services,” said Texas Gov. Greg Abbott, a Roman Catholic, in a statement following the issuance of the letter.